Gasoline and air are ignited in your engine to create a small explosion to generate power. The spark plug provides a miniature blast of high voltage electricity to light the fire. The key phrase here is “high voltage”. Your vehicle’s battery has just 12 volts – not nearly enough to power the spark plug. It’s the job of the ignition coils to amplify those 12 volts into the up to 100,000 volts needed. A cable from the battery enters the ignition coil. True to its name, the coil has two windings (coils), of copper wire. The first winding uses a thicker wire and the second winding has thousands of winds of smaller wire. By the time the electricity has made it through the windings, the voltage has increased enough to power the spark plug. Some engines have just one ignition coil that runs through a distributor which routes a burst of electricity to the individual spark plugs. Many modern engines have one ignition coil for every two engine cylinders. Other engines are designed with a “coil-on-plug” operation that has individual ignition coils that attach directly to each spark plug. 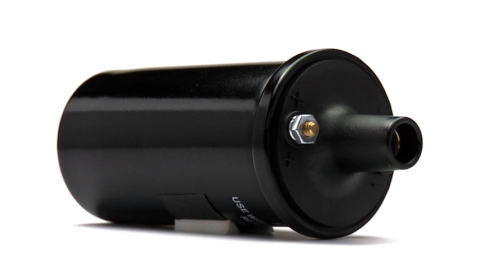 Because of the intense amounts of electricity that pass through ignition coils, they wear out. When a coil fails to provide enough electricity to fire a spark plug(s), the engine “misses”. The engine will run rough and may shut down entirely. It’s generally advisable to replace all of the ignition coils at the same time – once one has failed, others are probably not far behind. This is also often a good time to replace the spark plugs as well. Any time your engine is running rough, have the team at Whitaker Auto Repair in GRAND ISLAND check it. We have the diagnostic equipment and proficiency to isolate the problem, correct it and get auto owners back on the road rapidly.